Responsibility: Head of Department of Law. General Expertise: Al Fiqh & Usul Al Fiqh. Specific Expertise: Fiqh Al Zakah. - Fiqh of Islamic Finance. - The healthcare related errors and their consequences. - Contemporary issues in Islamic Jurisprudence. - Bachelor of Islamic study from Duhok University. - Master from International Islamic University Malaysia, Faculty of Fiqh & Usul al-fiqh, 2011. -Ph. D: International Islamic University Malaysia, Faculty of Fiqh & Usul al-fiqh, 2015 in Malaysia. 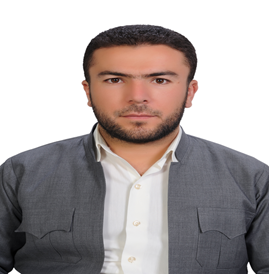 Bahalddin Faqe Ahmad Aziz was born in 1977 Erbil/Choman-Iraq Kurdistan, and he is head department of law at Soran University-Faculty of law and international relationship. He has got his bachelor from Duhok University, 2000, his master from International Islamic University Malaysia, Faculty of Fiqh & Usul al-fiqh, 2011 and his Ph. D: International Islamic University Malaysia, Faculty of Fiqh & Usul al-fiqh, 2015 in Malaysia. - Disclosure Medicine secret in Islamic law, International conference on law issues at Eshk University. - Workshop: What would Muhammad (saw) Do? In iium Malaysia, 2012.